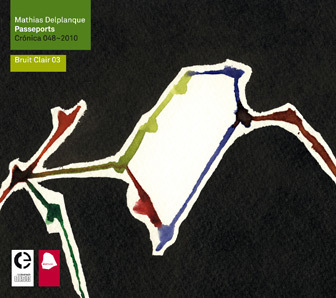 Another fine product from the Cronica stable, Mathias Delplanque's Passeports is pieced together from field recordings cultivated at various transport-related locations spread across France. These sonic snapshots are then combined with ambient compositions, putting an impressionistic, human spin on the locale in question. Subsequently, a final version of each track was rendered by playing back and recording these composites in Delplanque's own home, completing the connection between the exterior and interior. In addition to the various trains stations, harbours and car parks Delblanque recorded, there are also documents of a call centre in New Delhi - not a place Delplanque physically travelled to, but it's deemed a significant location in its own right. The musical components help offer a portal into the intriguing field-recorded elements of the music, keeping the album unusually accessible despite the documentary aspects of the subject matter.